Risk mitigation strategies, at least as they pertain to investors, are currently regarded as some of the most important practices in the real estate industry. If for nothing else, reducing one’s exposure to risk may simultaneously increase their odds of realizing success and staving off the headaches that have become synonymous with the housing sector. Few exercises, in fact, compound the benefits of real estate investing more so than a proper risk management strategy. An independent contractor agreement, as its name suggests, is none other than a contract between a rehabber and their respective contractor. Otherwise known as an ICA, a proper independent contractor agreement should identify each and every rule that will dictate the progress of the contractor. More specifically, this particular document will serve as a blueprint for the contractor to follow; that way, there will be no question as to how they should proceed. The agreement will detail everything from exactly what the rehabber needs done to the timeline and each material that is to be used. In its simplest form, a contractor agreement is basically a step-by-step roadmap to ensure the contractor gets their job done according to plan. What Should My Contractor Agreement Accomplish? Permits: The independent contractor agreement should clearly state that the contractor is responsible for both pulling permits and scheduling the necessary building department inspections. Materials: A good contractor agreement will create a clear delineation between selecting and purchasing materials. It should specifically state that the rehabber is in charge of choosing the materials, whereas the contractor is in charge of buying them. Insurance: The ICA needs to state, clear as day, which insurance and workers compensation requirements must be met in order to work on the job site. Subcontractors The ICA needs to state that no subcontractors are to be hired without your approval. It should also specify that subcontractors are to be paid by the owner and that each subcontractor will also have to sign a lien waiver as applicable. Work Schedule: Not to be underestimated, the work schedule included in an ICA should clearly identify when the contractor is and isn’t allowed to work on a respective project. Predetermine the times you are comfortable having a contractor work on the home, and let them know. Completion Schedule: The ICA states specific milestone completion dates, as well as a final project completion date; it also states the penalty for not completing the work on time. Arbitration: An arbitration clause is something that’s better to have and not need, than to need and not have. That said, the arbitration clause in your own ICA should detail how any disputes will be settled should the need arise. Responsibilities: Last, but certainly not least, the ICA should include a section specifically designed to identify the contractor’s responsibilities; that way there will be no confusion as to what needs to be done and how it will get done. The more detailed the responsibilities section is, the better. It’s here that you’ll express your expectations, and convey your preferred practices and behavior. Again, the independent contractor agreement is a blueprint for contractors to follow, as to reduce the risk of miscommunication. The document should clearly identify everything you expect from the contractor, and inevitably answer any questions that arise. The scope of work, as its name would lead many to believe, details the impending work to be completed on a rehab. As yet another contract between the rehabber and the contractor, the scope of work should contain explicit instructions for how the individual conducting the work should proceed. The scope of work will detail everything from what the rehabber needs done to what materials will be used. The final scope of work can’t be too detailed. In fact, the more detailed the final scope of work is, the better off you’ll be. The scope of work is your chance to open up lines of communication and delegate the work you want done, how to go about doing it, item numbers, SKU numbers, paint colors, and specific materials. In providing the contractor with a detailed scope of work, there’s little debate as to what the final product should look like. Perhaps even more importantly, a scope of work will enable the contractor to work more efficiently. A payment schedule is exactly what it sounds like: a list of milestones that need to be completed before the contractor can expect to receive payment. A good payment schedule will identify when individual projects need to be completed; not only that, but it’ll establish a reward system for the contractor each time the proper criteria are met. In other words, the contractor will only receive payments for the work they complete. In the event the agreed upon criteria are met, they are free to collect. In doing so, contractors are more likely to stay on schedule and complete the task at hand. It is important to note that rehabbers are in no way exempt from the payment schedule they were responsible for creating. It is equally important for rehabbers to pay their contractor when the agreed upon work is completed. Implementing a transparent and reliable schedule is the surest way to facilitate the construction process. Perhaps even more importantly, the contractor must agree to the payment schedule before things get underway. What Is An Insurance Indemnification Agreement? An insurance indemnification agreement is a document that clearly requires the contractor to carry the appropriate insurance. While you should have already touched on this in the ICA, it’s important enough to warrant its own stand-alone document. That said, it’s at this point that you’ll want to require the contractor to meet specific insurance requirements. Additionally, it’s important for the contractor to acknowledge––multiple times––he or she will meet the agreed upon insurance requirements for the duration of the entire project. For a frame of reference, I highly recommend requiring your contractor to carry at least $1 million in liability insurance. Everyone is required to pay taxes, and real estate investors are no exception. That said, there’s one important document pertaining to a rehab that carries significant tax implications: the W-9. Otherwise known as a Request for Taxpayer Identification Number and Certification, a W-9 enables its distributors to collect the appropriate tax information from independent contractors. Simply put, a W-9 will allow you to collect the appropriate information from your contractor and document it correctly on your taxes. What Is A Final And Unconditional Lien Waiver? 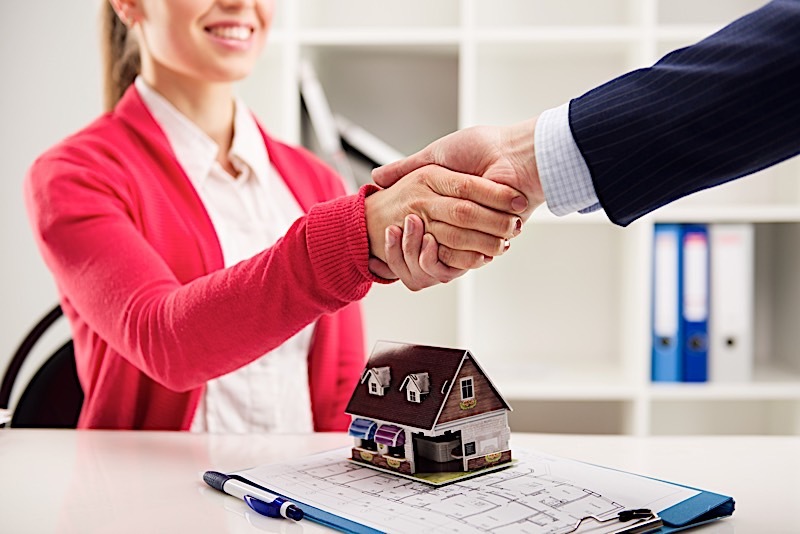 In order to navigate complications brought about by municipal, county and state lien laws, familiarize yourself with what a final and unconditional lien waiver is. Instead of risking being confronted with liens that may impede the title of the property, get a final and unconditional lien waiver signed before committing to the contractor’s final payment. The waiver explicitly states that all work and services at the subject property have been completed and that the contractor has been paid in full for said work and services. To be clear, never pay the contractor their final payment until they have signed the final and unconditional lien waiver. That way, you can rest assured they won’t place any liens on your property at a later date. An independent contractor agreement is just one of the six critical documents today’s rehabbers should become intimately familiar with. Only once each and every single one of these documents has been implemented can I recommend moving forward with a deal. An independent contractor agreement is just one of six critical documents rehabbers need to complete on each rehab. House flipping contracts may simultaneously mitigate risk and facilitate a timely rehab. Rehabbers need to complete the proper fix and flip paperwork if they want to cover all their corners and ensure the most efficient process as possible.